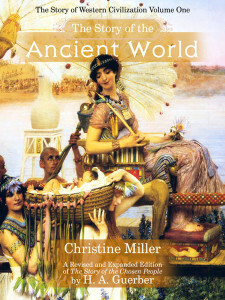 Ancient World FAQ: Does Ancient World use the same timeline for the Hebrews and Egyptians as Unwrapping the Pharaohs? 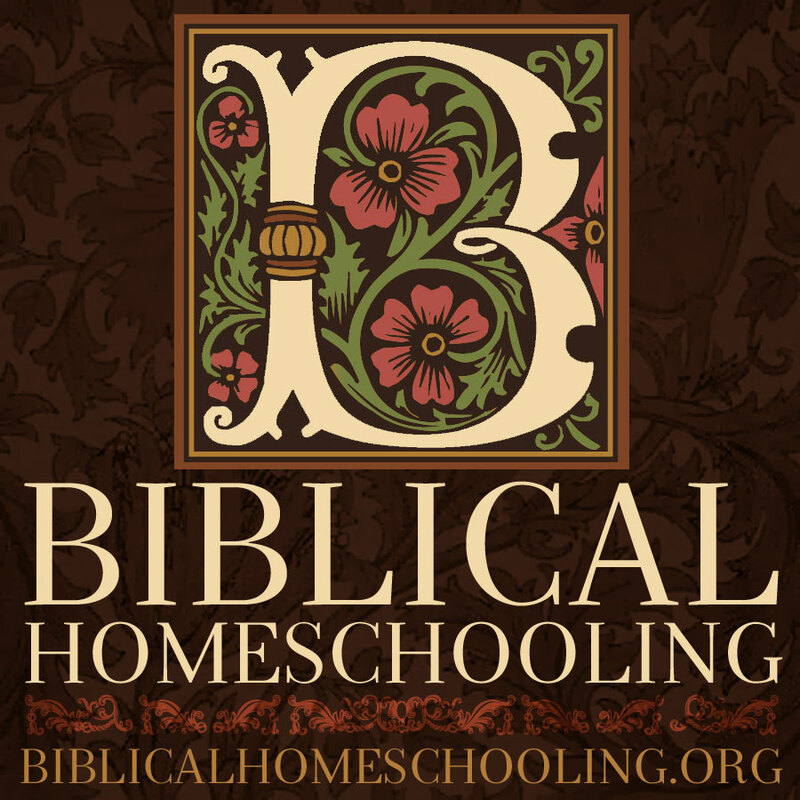 You are here: Home / FAQ / Ancient World FAQ: Does Ancient World use the same timeline for the Hebrews and Egyptians as Unwrapping the Pharaohs? The long answer is: Story of the Ancient World has Abraham most likely sojourning in Egypt during the reign of the Hyksos; Joseph being governor of Egypt during the reign of one of the Theban pharaohs; and Moses leading the Hebrews from Egypt during the reign of one of the Ramessesan dynasty pharaohs (after Ramesses the Great). Unwrapping the Pharaohs was published at the time Ancient World was being printed, so I was not able to use it as a source reference for Ancient World. Our dating and chronology authority is from Ussher’s Annals, and Chronology of the Old Testament by Dr. Floyd Nolan Jones. For Egyptian history harmonized with biblical history, we used primarily Rawlinson’s Five Great Monarchies of the Ancient Eastern World (of which one was Ancient Egypt) and Byrant’s An Analysis of Ancient Mythology (which is also an analysis of the ancient history brought down to us via the classical literature of Greece and Rome, and Manetho, the Egyptian historian). Rawlinson was professor of ancient history at Oxford University in England, and Bryant was the foremost classical historian in England in his day. The ancient Egyptian chronology which is presented in The Story of the Ancient World is not based on modern Egyptian chronology – as some (even modern) historians believe it has been exaggerated at some point in the past. I have based our chronology on the Egyptian Old Chronicle, which is the oldest historical document extant for Egyptian history. It contains half the number of dynasties that modern historians use, and, more importantly, it harmonizes perfectly with biblical history. Bryant makes a logical and compelling argument for the reliability of the Old Chronicle in his six volume masterwork mentioned above. So what does this mean: this means my dynasty numbers do not line up with those used in Unwrapping the Pharaohs, which accepts the standard dynastic list and goes from there. Because there is a dispute about the dynastic list, I did not present our Egyptian history in terms of dynasties. I was not learned enough to analyze the standard dynastic list, and do what experts have been seeking to do since Napoleon’s discovery of ancient Egypt: harmonize that list with the Bible. Instead, I have presented Egyptian history in terms of the great personalities of Egypt’s royal families: the Hyksos invaders, who they were, and where they came into the picture of Egyptian history; the great Theban family of Ahmose, Thutmose, Hatshepsut, Ankhenaten, and Tutankemon; and the “new” royal family which arose over Egypt (recorded in Exodus 1) of which Ramesses the Great was the greatest pharaoh. I did not place the reign of Ramesses the Great after the Exodus as Unwrapping the Pharaohs does. The reason is this: of course, at the time I did not know the argument that Unwrapping the Pharaohs would be making, as it was not published yet. But there were books out there, which I had read, which did place Ramesses after the Exodus (as well as books which place him during, and also others before — who to believe?) After wrestling with this question for months, I chose to place the Exodus during the Ramessan dynasty (with Ramesses the Great reigning prior to the Exodus), simply because the biblical account presents God’s judgment on a proud, grand, powerful, and secure Egypt, completely devastating it. While Egypt does again enter biblical history, it is not for hundreds of years after the Exodus, and Egypt never again regains her former glory or prominence. Examining the monumental record of Ramesses, there is no doubt that Ramesses’ reign was the greatest in terms of magnificence, wealth, and renown that Egypt ever produced. So if you look at the big picture of Egyptian history, it builds and builds and builds in terms of might until the reign of Ramesses, which is its height, then there is a mysterious period of chaos, power struggles, upheaval, unrest and a complete loss of power and influence, then there is a weak period of regrowth, however characterized by military defeats, and more power struggles, ending with foreign conquest, of one empire after another. The biblical history of the Exodus merely explains what cut short the magnificence and might of Egypt, and the cause of the ensuing chaos, and why it was a weaker state in world history from that time forth. 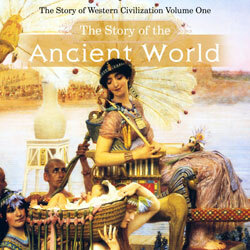 That is the history related in Story of the Ancient World. It does not line up with Unwrapping the Pharaohs in every particular. I have since learned that Dr. Ruth Beechick has published a new book: World History Made Simple: Matching History with the Bible, which has similar conclusions. 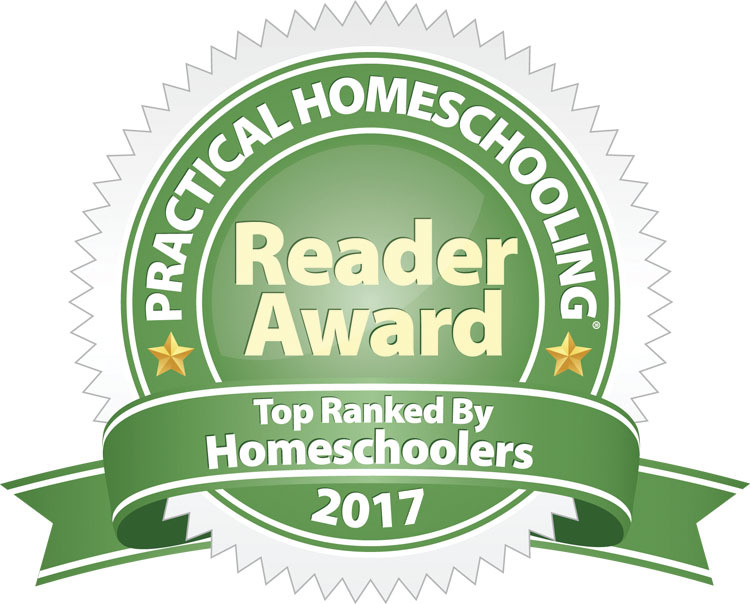 The history presented in The Story of the Ancient World is not a judgment of Unwrapping the Pharaohs at all: they are experts, and I am a homeschooling mom. And Dr. Beechick is not an Egyptian authority either. But being outside the field, maybe we have not been influenced by the standard scholarship in the field, and perhaps it is easier for us, in our simple way, to look at the Bible, look at Egypt, and come to a logical conclusion.